Three Poems by James Keane: "Are There No Words," "On My Way," and "You Live." James Keane resides in northern New Jersey with his wife and son and a shrinking menagerie of merry pets. He earned bachelor's and master's degrees in English Literature 100 years ago at Georgetown University. 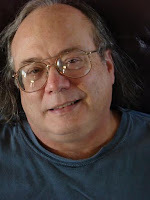 His poems have appeared recently in Contemporary American Voices, Wilderness House Literary Review, Blue Monday Review, Firewords Quarterly, Verse-Virtual, Atavic Poetry, and the Tipton Poetry Journal. In 2013, his first poetry chapbook, "What Comes Next," was published by Finishing Line Press. In addition, he still can’t cook to save his life.